The Department of Agriculture, Forestry and Fisheries, Land Bank and Agricultural Research Council (ARC) briefed the Portfolio Committee on Agriculture, Forestry and Fisheries on their first quarter budget expenditure and performance. The Minister was in attendance. The Department spent R370m from a total budget of R923m for the first quarter and under-spent by R441m. An over-expenditure of R112m was recorded on the administration programme. The Department could not pay suppliers towards the end of last year because that would have affected the budget of the Department. Suppliers got paid during March and April 2018. The Department reported that its vacancy rate was currently sitting at 16%, a little higher than the acceptable 10%. During the 2016/17 financial year, the National Treasury announced budget cuts and imposed ceilings on the Compensation of Employees (CoE) budget for each year of the current MTEF period. Projections by DAFF in the second quarter of 2017/18 financial year indicated that if no drastic measures were taken to contain the CoE budget, by the end of the 2017/18 financial year the Department would not be able to pay salaries. As part of cost contain measures, the Department has decided that all departmental meetings and strategic planning sessions be held on departmental premises. Limits have been placed on official trips and the number of delegates going on trips locally and abroad. The provision of catering during meetings with stakeholders was now limited to R60 per person and catering would be provided for meetings longer than 5 continuous hours and on condition that 50% of the attendees were from outside the Department. A threshold of R1.5m per event was introduced for Ministerial Stakeholder Events. The ARC reported that there were reductions in the allocations to the entity over the MTEF 2014/15-2017/18 period. The ARC received a 5.6% increase in parliamentary grant from DAFF in the current financial year and 65% of this went towards the operating budget. The cuts of prior years were still affecting the current operations. The personnel costs increased by an average of 6% during the parliamentary grant cut period. The parliamentary grant cuts have resulted in the entity implementing cost-cutting initiatives, including closing some long running projects and delays in filling vacancies. There was a risk of retrenchments and that of paying suppliers outside the prescribed 30 days. The entity had no cash reserves. The Land Bank stated that key highlights for the 2018 financial year included R1.55 billion disbursed to transformational projects, 248 female farmers supported through direct channels, approval of R334m for drought relief, 131 famers under 35 years that have been supported through direct sales, and the provision of R74m in interest rates subsidies. The Bank reported that it mainly focused on high value, joint-venture based transactions and emerging farmers or agri-business. The entity has initiated a programme for greater inclusion of women and youth in the sector. The Land Bank indicated there was a tripartite arrangement with DAFF and Department of Rural Development and Land Reform (DRDLR) regarding blended financing. DAFF would be providing the Grant Funding Facility to Land Bank in the amount of R370 000 000 which would be used as co-funding to de-risk Black Commercial Producers’ loan applications, provide technical support, and insurance and related products, while the DRDLR would also be providing the Grant Funding Facility to Land Bank in the amount of R2 682 432 000 which would be used as co-funding to de-risk Black Commercial Producers loan applications for land acquisitions, production in restitution projects, and insurance. 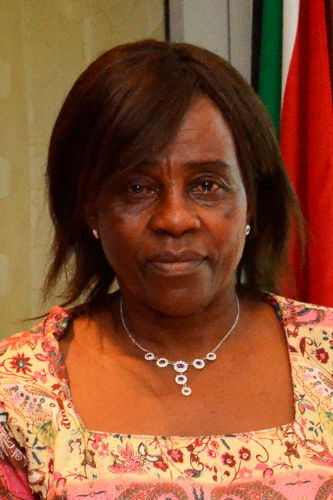 Members commented that the 37% vacancy rate in the office of the Deputy Minister was unacceptable and wanted to know if it was because the office could not find the right people; asked the Department to clarify its gender profile; asked how the Department was going to address the concerns raised by the AG regarding records not properly kept on the borders and remarked that the failure to transfer AgriBEE funds was a sign of not taking transformation seriously. The Committee encouraged the Department to improve though it was number four on the list of departments that have underspent. Members stated that Department should come up with a catch-up plan on accruals and other matters, fill vacant posts within 3 months, and asked the Department to send a detailed breakdown report on the R441m under-expenditure. The ARC was asked how it was running its business seeing that it had a huge deficit and no cash and asked if it has enough capacity in terms of financial management because it has received a qualified audit opinion. Members pointed out that the entity’s 2018 budget was in the red, but when it came to the variance, there was money to the value of R9.882 million not used. Members said the ARC should be funded to take agricultural research forward. In regards to the Land Bank, Members enquired what was being done to ensure rural women know and make use of the Land bank for agricultural development matters; and wanted to establish if the Land Bank had any relations with the IMF seeing that it was working with European Investment Bank. They commented that that the audit committee was established with a purpose to strengthen financial internal controls; noted that the first quarter performance was not pleasing, but things could be turned around if the Department could work closely with the audit committee to avoid budget cuts. Mr Mooketsa Ramasodi, Acting Director-General, DAFF, stated that the presentation reflected on the Department’s first quarter performance against planned deliverables stated in the annual performance plans of 2018/19 financial year. He focused his report on the 6 programmes of DAFF. This programme over-achieved in a number of areas during the first quarter. These areas include job creation, unutilised land under production, supported smallholder producers, hectares of land under irrigation, and households that have benefitted from food security and nutrition initiatives. The Risk Communication and Awareness Plan was reviewed. The quarterly report for 2017/18 quarter 4 has been approved by the audit committee. The Business Impact Assessment Interview Schedule was developed to conduct interviews with the branch Fisheries Management Ten core directorates that were indentified in collaboration with the Fisheries Management Branch. The 2018/19 Workplace Skills Plan was developed and approved during April 2018. The report on the monitoring of the sector research agenda has been compiled. The over-spending was a result of payments of R122m in respect of arrears in accommodation charges for state-owned buildings, leases for private-owned buildings and municipal fees being made in April 2018. The delay in payments was due to National Treasury exemptions for the Department of Public Works to implement itemised billing to user departments that was not approved for the 2017/18 financial period. The quarterly report on regulatory interventions implemented (inspections, quarantine, surveillance and testing) has not been actioned. The reason for this is that the random sample validation of source documents at entry points was in progress and would be completed during September 2018. The policy on livestock identification and traceability system (LITS) was not developed. The finalisation of the policy required a Socio-Economic Impact Assessment (SEIA) certificate from the DPME which has was issued in the later stages of the 2017/18 financial year when the Department had finalised its plans and deferred the policy to the 2018/19 financial year. 175 applications from final year veterinary science students and veterinarians who would be registered for the first time with the South African Veterinary Council (SAVC) were received. The monitoring and reporting of community based indigenous goat conservation project in the Waterberg District of Limpopo was still in progress. The validation of identity documents of farmers involved has been in progress. The draft quarter 1 national food and nutritional security intervention has not yet been compiled because the identity documents of farmers involved was being validated. The under-spending was due to the delay in payment of R120m to the Land Bank for support to Black Commercial Producers. The first payment of R100m was transferred in March 2018 and the next would be done during quarter 2. Everything has been achieved in this programme so far. Consultations with regulators on the AgriBEE Enforcement Guidelines were held through the AgriBEE Enforcement Guidelines Workshop on 18 April 2018. Quarterly progress report on the implementation of trade agreements has been compiled. Progress report on compliance to African Union (AU) and SADC obligations has been compiled. The Climate Smart Agriculture (CSA) Strategic Framework was not gazetted for public input and comments. The lengthy consultations on the approval processes have delayed the achievement of the target as planned. Consultations with communities on the options of adopting the establishment of the six legal entities have not taken place. The consultations could not take place because the Department had to take a decision first on legal entities to be established for commissioning. A meeting was held during June 2018 where the decision to form Trusts instead of CPAs was taken. The Doring Baai Abalone project has been supported through the Aquaculture Development and Enhancement Programme. The progress report on economics of new candidate species for aquaculture has been completed. The appeals process on the draft regulations report to support FRAP 2015/16 has not been done due to finalisation delays within specific timeframes. The Minister has decided on and finalised the KZN Beach Seine appeals on 25 April 2018. The Regulation 5 (3) reports for Netfish have been prepared and the Minister finalised them. With regards to education and training for the poor and working class students, 432 young people were funded through the External Bursary Scheme to further their studies in different careers in agriculture. 255 unemployed graduates were appointed as DAFF interns and in relevant industries for experiential training. An audit matrix for the 2017/18 audit findings was compiled with the aim of addressing the internal control deficiencies. It was compulsory for all the DDGs to attend the audit steering committee meetings scheduled for the 2017/18 period and sign off on all audit findings. Branches report on their performances monthly to Exco, and Departmental Performance Reviews were being held at the end of each quarter. Performance review meetings were being held to assess the status of performance and to adopt remedial action where necessary. The Departmental Performance Reports were being approved by the DG quarterly. Mr Ramasodi further reported that the vacancy rate at DAFF was currently sitting at 16%, a little higher than the acceptable 10%. During the 2016/17 financial year, National Treasury announced budget cuts and imposed ceilings on the Compensation of Employees (CoE) budget for each year of the current MTEF period. Projections by DAFF in the second quarter of 2017/18 financial year indicated that if no drastic measures were taken to contain the CoE budget, by the end of the 2017/18 financial year the Department would not be able to pay salaries. This was communicated to the Minister who then approved a temporary moratorium on filling vacancies until a solution was found. The moratorium on filling vacancies and strict management of overtime expenditure has helped the Department to fall within the set CoE budget ceiling of the 2017/18 financial year. Towards the end of the financial year of 2017/18, the Department set up a process to identify critical vacancies internally which were then costed to about R200m. Dr Shadrack Moephuli, Chief Executive Officer, ARC, reported there have been reductions in the allocations of the parliamentary grants over the MTEF 2014/15-2017/18 period. 65% of the parliamentary grant was for the operating budget of the ARC. The ARC has received a 5.6% increase in parliamentary grant from DAFF in the current financial year. The cuts of prior years were still affecting the current operations. The personnel costs have increased by an average of 6% during the parliamentary grant cuts period. The parliamentary grant cuts have resulted in implementing cost-cutting initiatives, including closing some long running projects and delays in filling vacancies. There was a risk of retrenchments and that of paying suppliers outside the prescribed 30 days. He noted the entity has got no cash reserves, and was relatively on track because it has reached milestones more than targets. Dr Moephuli stated that the implementation of the Enterprise Resource Planning (ERP) system has contributed to the basis of the qualified opinion due to financial errors. Another factor was the outstanding S&T advance that has not been reconciled and amounts not recovered from employees. The entity would engage with the ERP system vendor for bug fixes and optimise the ERP system for ARC financial management. The entity would also review the S&T policy and internal controls on S&T advances and ensure regular reconciliations. The audit improvement plan would be a detailed plan with specific timelines and responsibilities. Fixed assets would be reviewed through a detailed plan. The entity would review and implement Improved Information Communication Technology System support, and review and implement consequence management. It would also ensure effective compliance with legislation and eliminate root causes and findings by 31 December 2018. Dr Litha Magingxa, Executive Manager: Agricultural Economics and Advisory, Land Bank, said the strategy for driving transformative finance has been approved by the board. The Bank mainly focused on high value, joint-venture based transactions and emerging farmers or agri-business. The entity has initiated a programme for greater inclusion of women and youth in the sector. Key highlights for the 2018 financial year included R1.55 billion disbursed to transformational projects, 248 female farmers supported through direct channels, approval of R334m for drought relief, 131 famers under 35 years that have been supported through direct sales, and the provision of R74m in interest rates subsidies. He reported that the Land Bank has made progress in transforming the loan book. The loan book grew steeply by more than four times from financial year 2012, while the transformational component of the loan book grew by 430% from a very low base in 2012 compared to the remainder of the loan book which grew by 81% over the same period. Projected growth would increase the percentage of the loan book devoted to development / transformation assets from 11.8% to approximately 30% over the next 3 - 5 years. However, this requires aggressive acceleration in a risk-responsible manner. The Land Bank was procuring funding for two distinct business purposes: commercial operations and development operations. Commercial funding is being raised from Institutional Investors and Commercial Banks from the local Debt and Capital Markets and is generally unguaranteed. It is applied for corporate / wholesale on-lending, corporate and Commercial Agribusiness, financing “primary” and “secondary” agriculture, and general working capital. On the other hand, development funding is raised from Multilateral Institutions and often requires Government Guarantees. Grants from the state have enabled affordable financing for transformational purposes. Funding is applied for agricultural “sector growth”, sector transformation in terms of ownership, and emerging farmers. Development funding is ring-fenced and has strict disbursement conditions and reporting requirements. R972 279 000 of the Grant Funding Facility to Land Bank for the 2020/2021 financial year. Mr Magingxa indicated that the draft tripartite agreement was in the process of finalisation amongst the three parties. Legal matters across the whole process have not been assessed by DRDLR and DAFF legal and compliance units. The Fund’s governance framework, operating manual, process maps, and artefacts/forms have been completed. The Joint Marketing and Communication Strategy around Blended Finance has not been agreed to yet. The agreement between DAFF/DRDLR and other participating financial institutions is still to be concluded. The DAFF/DRDLR Provincial processes and agreements to support the farmers have not been defined yet and this could result in loans being rejected due to lack of technical capability, market access, etc, and training needs also to be given to DAFF/DRDLR Provinces. Ms D Senokoanyane (ANC) asked for clarity on what slides 3 and 4 were all about. She remarked that slide 5 did not clearly state the targets. It would have been better to indicate partial achievements instead of indicating nothing achieved. She commented that the vacancy rate of 37% in the office of the Deputy Minister was unacceptable and wanted to know if it was because the office could not find the right people. Mr Joe Kgobokoe, Deputy Director-General: Policy, Planning and Monitoring and Evaluation, DAFF, explained that the figures on slide 3 were indicating targets set for each sector according to the MTSF. The + sign indicated an over-achievement. He noted the MTSF targets were not achieved by one department because there were various stakeholders and sister departments involved. He further explained that slide 4 referred to quarter 1 targets achieved against annual targets. Mr A McLaughlin (DA) enquired why finalisation delays within specific timeframes were given as reasons for non-achievement because there were no specifics stated. He asked the Department to clarify its gender profile on the vacancy rate. Further, he asked what the underlying costs would be for the 555 posts that would cost R200m and wanted to establish if the critical posts would ensure all the targets would be met. Lastly, he asked how the municipal fees came about or if it was a roll-over from the previous budget. Mr Kgobokoe, on finalisation delays, indicated that targets were timebound. Sometimes things did not go as planned and that meant non-achievement and the matter would be deferred to the next quarter. Mr Ramasodi replied that the gender profile information would be submitted to the Committee. He stated that the Department had more females than males at chief director level. He also admitted there would be underlying costs for the 555 posts and the posts have been budgeted for because there was a need for them. Mr Jacob Hlatshwayo, CFO, DAFF, explained that the municipal fees was the money that was always paid for municipal services. Mr B Martins (ANC) thought the opening critical comments the Chairperson raised would be the starting point for the Department in the discussion. Ms S Shope-Sithole (ANC) commented that the internal audit was the doctor of the organisation and if there was a situation where you have an understaffed internal audit, the Department could not be blamed on inefficiencies and deficiencies. She wanted to know how an understaffed Ministry could account and operate if there was inadequate support staff. She further indicated that the term 'cost containment' made her suspicious. It was sauntering towards austerity measures. She had read the history of both developing and developed countries, but she never came across developing countries implementing austerity measures. The Committee needed to have a cup of tea with National Treasury on cost-containing measures. Mr Ramasodi stated that understaffing was a real issue and it was impacting on the work to be done. The challenges that were experienced at the borders were a good example because there was not enough personnel to execute the work. Ms M Manana (ANC) asked how the Department was going to address the concerns raised by the AG regarding records not properly kept at the borders. Mr Ramasodi said the Department got rid of the manual system at the borders in order to get away from human error. The Chairperson asked if the Department had any budget for addressing the accruals. She wanted to know how much had been spent during Quarter 1. She remarked that the failure to transfer AgriBEE funds was a sign of not taking transformation seriously. She wanted to establish what the potential of a catch up was in the expenditure of the Department seeing that it had underspent by R441m and that budget cuts were based on expenditure. She further asked how many of the vacancies have been more than 12 months. Mr Senzeni Zokwana, Minister of Agriculture, Forestry and Fisheries, informed the Committee it was not National Treasury which put a moratorium on vacancies at the Department. A task team was set up to look at critical posts, especially on project management. This was supposed to be for a short time to identify areas to save from. It was discovered that more meat was needed on where the most of the work needed to be done while having a lean Ministry. It was also discovered that some people were paid more than the levels they occupied. That was where the Department needed to discuss the matter with Public Service in order to come up with a plan going forward. Staffing in the Ministries was governed by the Ministerial Handbook. How the Deputy Minister worked with less staff was not known. Once you have a budgeted post and you fail to fill it, Treasury would tell you if you did not need that post. On the AgriBEE delays, Stats SA was waiting for a register of farmers before funds could be released. With regard to cost containment, the Minister indicated the Department has tried to minimise the number of travelling people and it has chosen the invites it would respond to regarding local and overseas trips. Mr Hlatshwayo added that money gets transferred to the Land Bank every year. The question that should be raised was if it was used when it was with the Land Bank. He reported that the Department had spent R370m from a total budget of R923m for the first quarter. He also noted that the delayed payments to the Land Bank were as a result of a challenge with finalising agreements with the Land Bank. Payments were made during the first and second quarters. He also admitted the Department had accruals, but it did not budget for them. The Department could not pay suppliers towards the end of last year because that would have affected the budget of the Department. Suppliers got paid during March and April 2018. Payments to the Department of Public Works (DPW) were made last year and were part of the accruals. The Department has asked the DPW to forward it accounts regarding buildings. Mr Ramasodi said a breakdown on the R441m underspent would be forwarded to the Committee and that there were few projects that were not completed. Expenditure would be deferred to Quarter 2 when some work has to be completed. Ms Shope-Sithole remarked that one of the things that made the USA to advance was that it took research very seriously even though the money gets hidden in the defence budget. She indicated that agriculture was an important sector. The ARC should be funded to take agricultural research forward. Mr McLaughlin wanted to understand how the ARC was being run seeing that it had no cash and a huge deficit. Dr Moephuli explained that the ARC was never given an injection to overcome its deficit. Some departments have not been paying their debts and had to be chased by the debt collector. That has proven to be costly because the ARC was not getting the whole amount and a certain portion of the money was paid to the debt collector. Ms Senokoanyane asked if the ARC had enough capacity in terms of financial management because it has received a qualified audit opinion. Dr Moephuli indicated that the ARC has got many campuses in the country and many of these campuses had their own ICT and financial systems. Now the ARC has tried to centralise these systems and that was why it got the qualified audit opinion. The Chairperson commented that the budget of the ARC for 2018 was in the red, but when it came to the variance, there was money to the value of R9.882 million not used. Dr Moephuli explained that the entity does have an income that was received in advance from clients. Sometimes it arrived late for work which was still to be done. That was why there was a variance. Ms Senokoanyane asked how big the issue of personnel risk was. Dr Moephuli indicated that the Parliament grant was covering 65% of personnel and that the entity has 102 vacancies which required R2m until the end of the current financial year. The Minister pointed out that the ARC and the National Agricultural Marketing Council (NAMC) should be utilised because they had lots of skills in engineering for irrigation and design. Going forward, the Department would make use of the ARC. For instance, the Department was debating why provinces were not procuring the maize cultivar from the ARC which has proved to be a success. The ARC should be the supplier of choice for the Department. He noted that the ARC was audited separately from the Department and that was why the Department in its budget cuts report did not present a part of what the ARC was doing. This could be an answer for the situation the ARC was in. Ms Shope-Sithole asked what was being done to ensure rural women know and make use of the Land Bank for agricultural development matters. She wanted to establish if the Land Bank had any relations with the IMF seeing that it was working with European Investment Bank. She said any association with IMF was scary. Dr Magingxa stated he was not aware of any link between the European Investment Bank and IMF, but noted that any investment that would be done would be made through the European Investment Bank. He further indicated the Land Bank has started working on youth and women initiative agricultural projects. He said the presentation has highlighted targets for youth and women led enterprises. The Land Bank has established a unit that was going to develop these enterprises because there was a commitment to develop this part of the market and tell good stories of these initiatives. The Chairperson remarked that the audit committee was established with a purpose to strengthen financial internal controls. She indicated the first quarter performance was not pleasing, but things could be turned around if the department could work closely with the audit committee to avoid budget cuts. Mr Ayanda Wakaba, Audit Committee Chairperson, DAFF, stated that the Audit Committee has been doing an audit over nine areas on performance finance management on a quarterly basis against the set targets. The evidence has got to meet the targets. The audit committee has noted underspending and it considered it as a temporary matter year on year. As a result, the Department would halt payments to service providers and pay them later. The audit committee had confidence that things were going to improve, especially when it looked at the previous performances. The audit committee would also look at the causes of the delays in the transfer of funds and ensure the repeats were not happening again. The audit committee has engaged with the Department on the matter of vacancies and it was agreed that resources would be moved from non-critical areas to critical ones. The Chairperson remarked that the Committee had a meaningful engagement with the Department and that value for money was being seen. DAFF was dealing with a crucial mandate; unfortunately its expenditure could not go unchecked. The Committee encouraged the Department to improve though it was number four on the list of departments that have underspent. She suggested the Department should come up with a catch-up plan on accruals and other matters. The over-expenditure of R221m on programme one was understood because DAFF was working with sister departments and various stakeholders. The 16% vacancy rate was not acceptable. Vacant posts should be filled within 3 months. Vacant posts were delaying service delivery. It was not acceptable for oversight structures like the monitoring and evaluation and audit committees to have more vacancies as that would cripple the Department. The second quarter should be used to measure DAFF’s success. She asked the Department to send a detailed breakdown report on the R441m under-expenditure. The Chairperson took the members through the document, page by page. Members expressed satisfaction with the programme and agreed to adopt it.